I have pretty much eliminated many toxic cleaning products in my home over the years as much as possible. I’ve slowly been removing the toxins from my home and my body the last few years, and that means changing the way I think about things such as what really constitutes being clean? Last year I bought this all natural cleaner and it has worked wonderfully for cleaning around the house. I have been able to replace all of my cleaners with this one cleaner. In fact the only time I use bleach at all anymore is when I wash our whites. The real hazard of bleach is that it can’t be mixed with ammonia, vinegar or other acids, and even organic matter (and what would you normally clean up with bleach? Organic matter, of course.). Each of these compounds causes a reaction with bleach that emits toxic, potentially carcinogenic fumes. 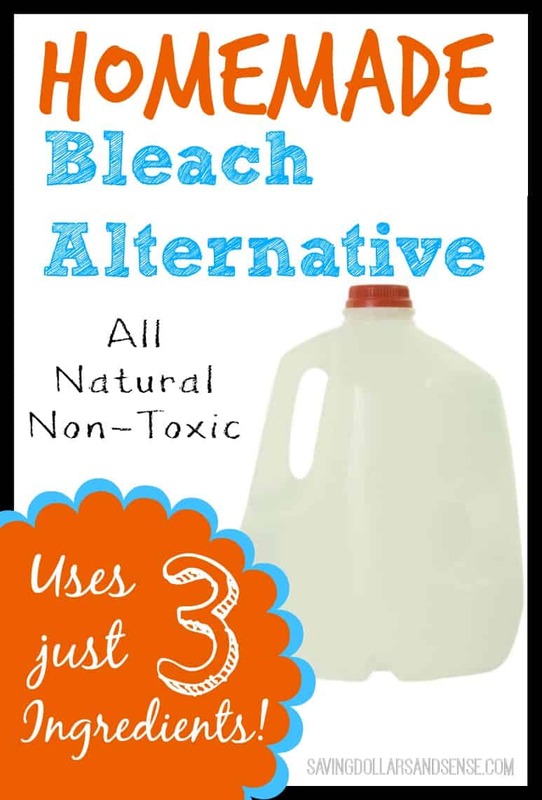 Recently, I began looking for a safe alternatives to the toxic and harsh bleach that I have been using simply because I was unaware that there was any other way. It’s so strange to me how many things we do just because we never question why we do them. Using bleach to wash our whites was one of those things that I did because I never thought about why I did it. Once I found out about this recipe that I am going to share with you, I threw out the last of my bleach! It is SO easy to make and very inexpensive as well. I told you it was super simple to make! Use 1 cup of Homemade All Natural Non-Toxic Bleach in the wash cycle to whiten your clothes. 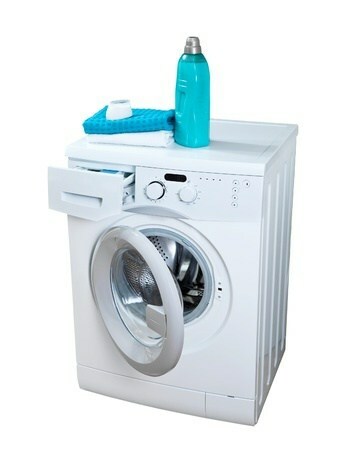 You can also add this to a spray bottle and use it anywhere you need to do some disinfecting. NOTE: I recently heard that you can use Thieves Essential Oil in place of the lemon oil, so I may try that the next time I need to make up a batch. 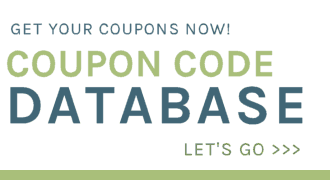 Order the Premium Starter Kit and I will send you a bunch of bonus freebies including The Chemical Free Home Book, 400+ page Essential Oils Reference Guide, Travel Case, Bottle Labels, Thieves Household Cleaner, Quick Reference Sheets, and MORE! And this has as much disinfecting power as bleach? Yes, without the harsh chemicals. Can I add this to colored towels too or will it lighten them? Also, if I use it as a spray disinfectant how long does it need to sit before wiping it up? Thank you! The spray only needs a few seconds to sit before wiping up. Just made this up using 10 drops of lemon and 10 drops of thieves! Smells wonderful! I am wondering if you have used this for mold/mildew and what your results were? I have heard that peroxide loses its *magic* if not stored in a dark container (like the one it comes in). How do you store you non-bleach recipe? I just use an old laundry detergent container. I keep mine under my wash tub where it is kinda dark.